Ben’s Strategy Blog: Arts and Adaptation – a cultural shift? The Scottish Government’s Draft Climate Change Plan places increased emphasis on climate change adaptation, but it still plays second fiddle to carbon emissions reduction. But CCS is already taking its first steps into working on adaptation with partners Adaptation Scotland and Aberdeen City Council. One of the many differences between the international climate change talks in Copenhagen in 2009 (COP15) and those in Paris in 2015 (COP21) was that the latter genuinely incorporated adaptation to the impacts of climate change, whilst in 2009 the focus was all on reducing carbon emissions (mitigation, in the language of climate change). Indeed, although COP15 was widely considered a failure for not achieving the global deal on reducing emissions that it was meant to, it’s arguable that this was always an unrealistic aim and that without the crisis of 2009 we wouldn’t be where we are today with the comprehensive Paris Agreement, flawed though it may be. In the summer of 2010 I wrote a dissertation for my MSc in Carbon Management which argued that COP15 had fallen apart partly because the minority world was focused on reducing carbon emissions whilst the majority world wanted support for dealing with climate change and finding a low-carbon pathway to raising standards of living for its people. The ‘failure’ of COP15 meant that the mitigation bubble burst and from COP16 onwards adaptation began to be seriously included in the negotiations. 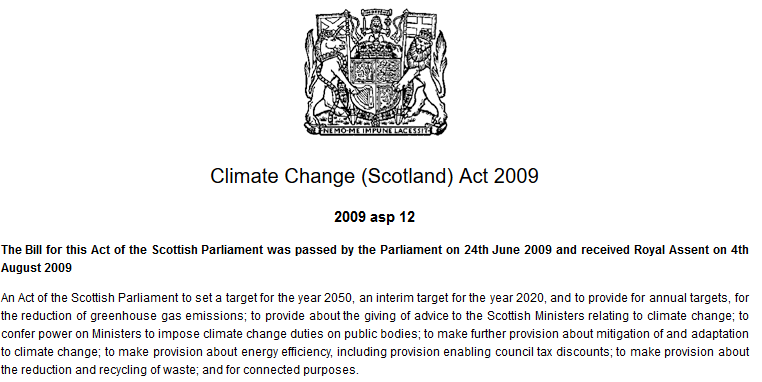 Adaptation was included in the Scottish Government’s Climate Change Act of 2009, but comes a clear second to mitigation in the way the Act is laid out. The emphasis is very much on mitigation, with emissions reduction targets highlighted and the first full mention of Adaptation in part 5 (of 6): ‘Other climate change provisions’. Back in the noughties climate change NGOs – which had quite a strong impact on the Scottish Parliament’s debates about the Act – worried that allowing too much discussion of adaptation would weaken the resolve of governments and others to grasp the very painful nettle of carbon reduction, so it took a back seat. And it’s fair to say that we are much clearer now about how the impacts of climate change are being felt now across the world. And in Scotland, like everywhere else, adaptation slowly has been moving to the centre of attention. Scotland’s Climate Change Adaptation Programme was published in May 2014. Adaptation Scotland has been going since 2010, and is managed by SNIFFER. Climate Ready Clyde, Aberdeen Adapts and Edinburgh Adapts are three of their key projects – there are more here. So things are on the move, but up to now adaptation has certainly been in the shadow of its big sister mitigation. The usual interpretation of adaptation in this area is adaptation to the impacts of climate change, such as changes in weather patterns leading to flooding, heat waves and severe weather events; changes in plant and animal life, such as the success of different crops or the increased incidence of pests. At a meeting the other week I was amazed to learn that the growing season (ie the period when it is warm enough for plants to grow rather than just hunker down for the winter) in Scotland is nearly 5 weeks longer now than in 1961. But there is another area that isn’t spoken about as much: adaptation to living and working in a low carbon environment. As I have written about in other blogs, this is something that we are interested in at CCS. 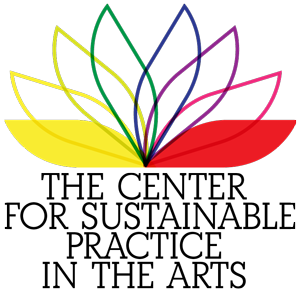 Culture in its widest sense is the varying ways in which we live in the world; culture in the narrower sense of what the Mexico City Declaration calls ‘the arts and letters’ expresses, reflects and ultimately shapes that wider culture. The wider culture will need to, and undoubtedly will, change in response to both the mitigation efforts and the impacts of climate change. We all need to think about what this will mean for our lifestyles, our organisations’ business models and so on. For example, in a society where energy is abundant when the sun is shining and the wind is blowing but scarce at others, our relationship with energy will be different to today’s when we are used to unlimited energy at the flick of a switch. Our use of water would change greatly if, like many women in the majority world, we had to carry every drop even a few hundred metres. 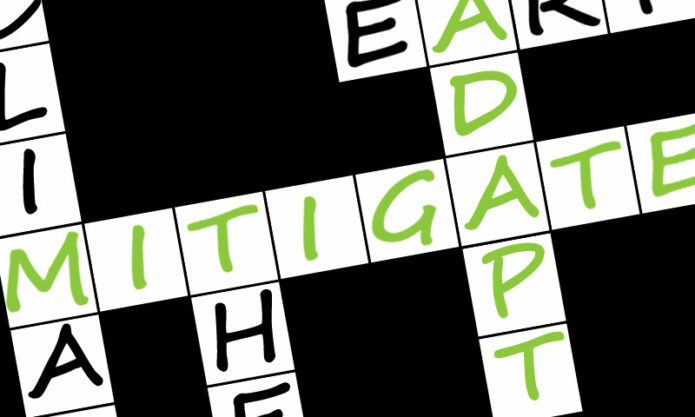 Adaptation isn’t necessarily a bad thing: it’s something we are all doing all the time anyway. And climate change brings into focus a number of choices. We can worry and close things down, or we can choose to build a better, fairer society. 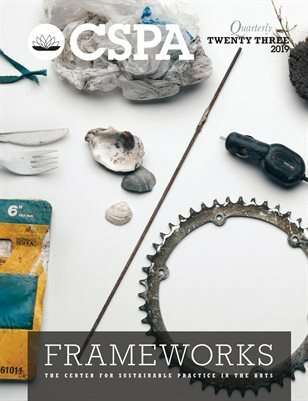 We at CCS have just written a new business plan for the next four financial years and one of our five strategic outcomes is ‘Adaptation: Increasing numbers of Cultural Sector organisations & practitioners include climate change adaptation into their planning’. During 2017/18 we will be developing our own understanding of what this means for cultural SMEs. But we have started already with a project with Adaptation Scotland/SNIFFER, Aberdeen Adapts and Robert Gordon University. 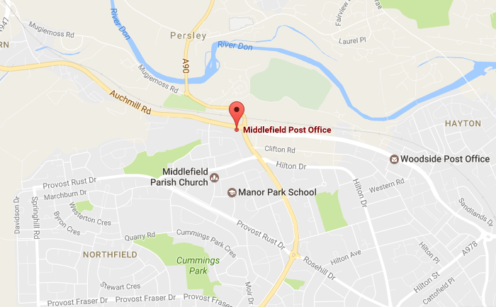 We’ll be working with four artists (musician Simon Gall; theatre artist Alice Cooper and public artists Jo Hodges and Robbie Coleman) to explore the potential of their different artistic practices for engaging a wider public with the impacts of climate change, specifically in the suburb of Middlefield in Aberdeen. In the meantime, a big thank you to our colleagues at Adaptation Scotland for asking us to join this project, which is part of our culture/SHIFT programme. It’s an experiment for all of us and has already been illuminating as artists and non-cultural partners have got together to understand each others’ work and aims and to collaborate on addressing wicked problems. 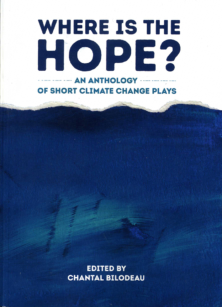 Our ‘Arts and Climate Change mini-festival’ is very much a pilot project and we’ll be running Green Teases and other events over the coming months to discuss what we learn. We’ll also be developing our knowledge so that we can help cultural sector organisations understand what adaptation means for them and how they can contribute to Scotland’s wider aims. The post Ben’s Strategy Blog: Arts and Adaptation – a cultural shift? appeared first on Creative Carbon Scotland.